Two students from Reif Dance will perform in the Twin Cities with professional dancers from James Sewell Ballet on Saturday, April 14. Grand Rapids High School junior Alaina Margo and senior, Nathan Mariano, hope their efforts leave the audience not only with an appreciation for the beauty of movement, but an understanding of the tremendous asset the state has in Northern Minnesota with The Myles Reif Performing Arts Center. Alaina and Nathan hope guests will walk away from the show on Saturday with an appreciation for the beauty of movement. Former Reif Dance instructor Myron Johnson choreographed Alaina and Nathan’s dance during a creative expedition the Reif Dance Company made to Big Sky Montana in 2017. They debuted the piece last November at The Reif during the James Sewell Ballet annual performance. “This movement has been performed before but this time it will be with live music,” said Alaina. The teens feel honored to be part of Saturday’s performance and are dedicated to dance. They understand the hard work needed to excel, although both took distinctly different paths to get where they are today. Alaina has been dancing since she was three years old, while Nathan started just over three years ago. The idea of exposure runs deep in the philosophy of Reif Dance. Not only committing to having excellent professional teachers on staff, but bringing in a stream of guest artists to teach students and expose them to different ways of creating movement. “Sometimes it takes a different teacher to get the light to turn on for you,” reflected Alaina. 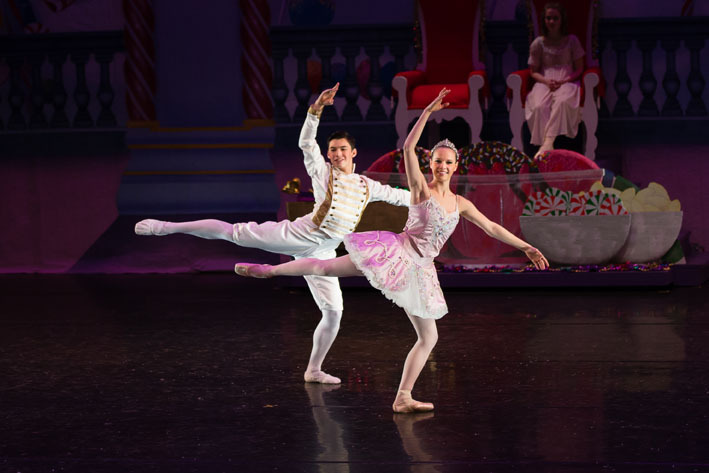 Both Alaina and Nathan know the tremendous value James Sewell Ballet has afforded them and all the students of Reif Dance. The collaboration has been an integral part of what makes the program successful. Guest artists train youth onsite in Grand Rapids and students experience traveling to the Twin Cities to perform alongside professional dancers. In fact, 25 dancers in the Reif Dance Company and Jr. Company will be taking part in a spring session in the Twin Cities April 21. They will be part of the audience on Friday night and then train on Saturday to be part of the evening public performance, dancing alongside the Sewell company. 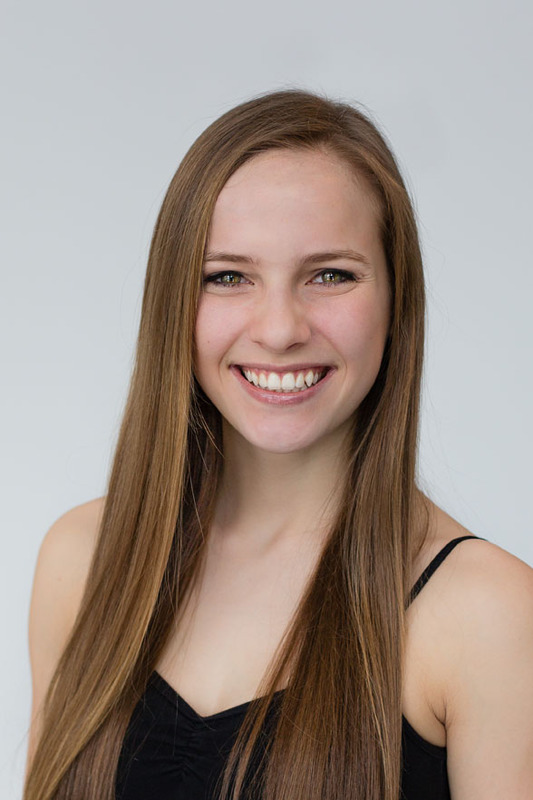 Alaina first experienced working with guest artists in grade school and the positive interaction molded her outlook and expectations as a dancer. Nathan reinforced that sentiment by expressing his gratitude for excellent instructors. Both Alaina and Nathan credit part of their growth with work done during the Reif Dance Summer Intensives. The intensive classes expand intermediate and advanced student’s understanding of movement and push them to improve and open their eyes to the complexity of the art form. Alaina specifically called out the influence of James Sewell himself. 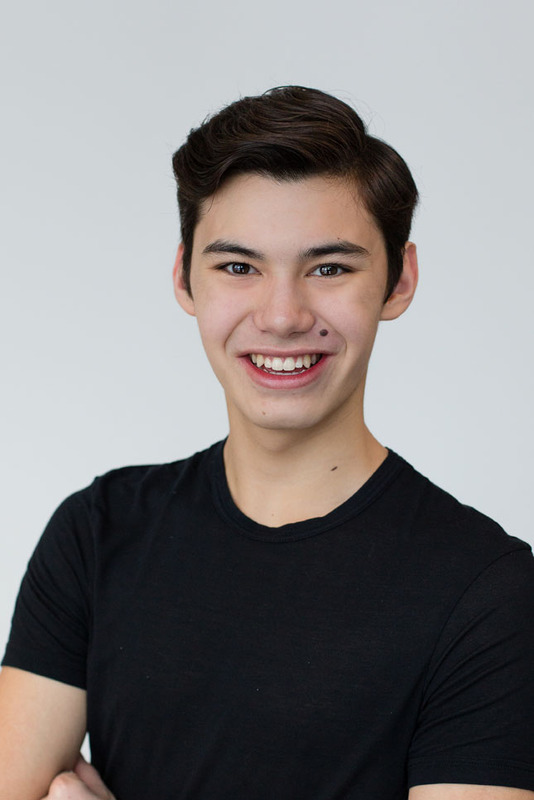 A connection with James Sewell is the drawing card for the summer intensive. The classes run Monday through Friday, July 30 through August 17 with a live performance at The Reif Ives Theater culminating the training. It is reserved for students 10 years and older with at least two years of experience. Because of donations, The Reif is able to bring art, dance, music and theater to the community. You can help make it happen with a tax deductible gift to support the arts in Northern Minnesota – GIVE now.